First flew on the 12th March 1954. Purchased by Eagle Airways (Bermuda) Ltd and operated as VR-BBH from Air Lingus (ex EI-AFY) on the 15th December 1959. The aircraft was sold to BOAC Associated Companies as G-ARKI in July 1963. 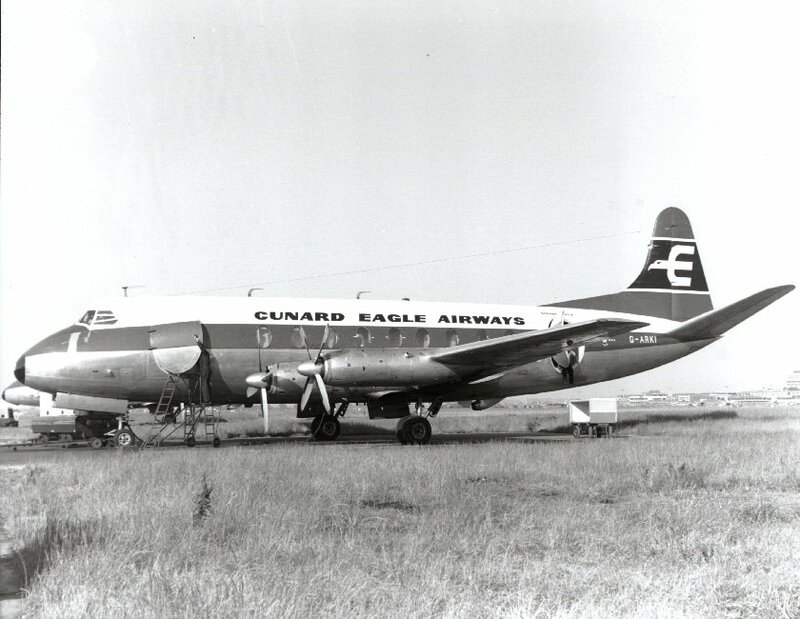 The aircraft was transferred to Cunard Eagle Airways on the 9th May 1961 as G-ARKI and then to Cunard Eagle (Burmuda) Ltd as VR-BBH on the 19th January 1962. It was withdrawn from use and broken up at Fort Lauderdale, Florida in January 1977.